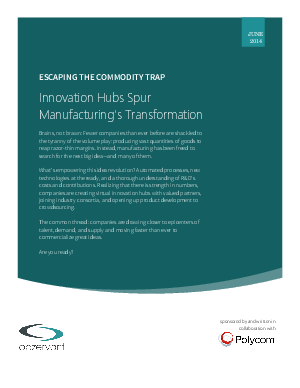 manufacturing has been freed to search for the next big idea – and many of them. What’s empowering this idea revolution: automated processes, new technologies at the ready, and a thorough understanding of R&D’s costs and contributions? What’s common to all: Companies are drawing closer to epicenters of talent, demand, and supply and moving faster than ever to commercialize great ideas.